That’s Captain Corey at the helm and First Mate Melissa beside him as they head out on a fishing charter with their guest anglers! 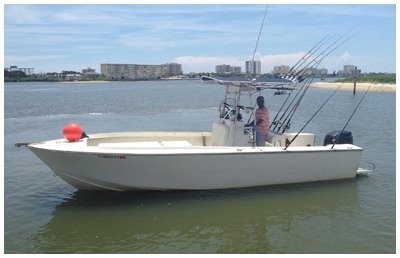 Captain Corey invites you for a fishing adventure in Daytona Beach aboard his 24 foot Center Console, Deep-V Hull fishing boat. The center console for the captain allows for plenty of open walking area and seating space. The Deep-V hull design allows the boat to venture safely far offshore for deep sea fishing. The boat also has a covered T-Top for shade. 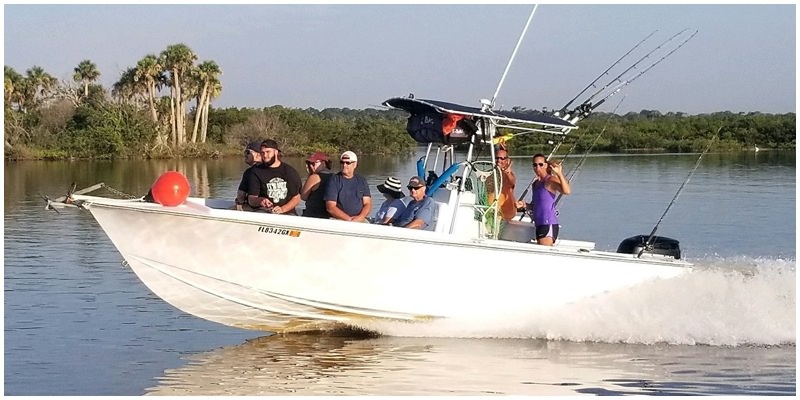 The boat is powered by a 200 HP Suzuki outboard engine and is equipped with all new state-of the-art electronics including GPS, VHF Radio and FishFinder. Captain Corey has all the professional quality fishing gear needed for both inshore fishing and offshore deep sea fishing. Captain Corey’s boat has a Capacity 6 Passengers. More than 6 people in your group? 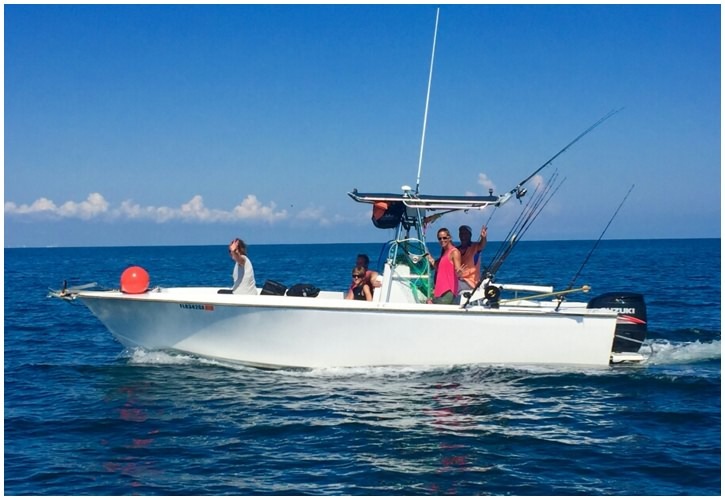 Captain Corey can arrange fishing trips for large groups with some of the most experienced captains in Daytona Beach! We’ve been told a way to avoid sea-sickness is to take 2 dramamine before going to sleep the night before your fishing trip and one more a half-hour before departure. Always consult with your doctor before taking any medication! Another view of the boat headed out to sea on an offshore fishing trip! That’s Captain Corey and First Mate Melissa waving from behind the steering console.